Diamonds are forever, and here at AC Silver we’re reminded of this every day when we come face to face with stunning antique diamonds of all shapes and sizes. 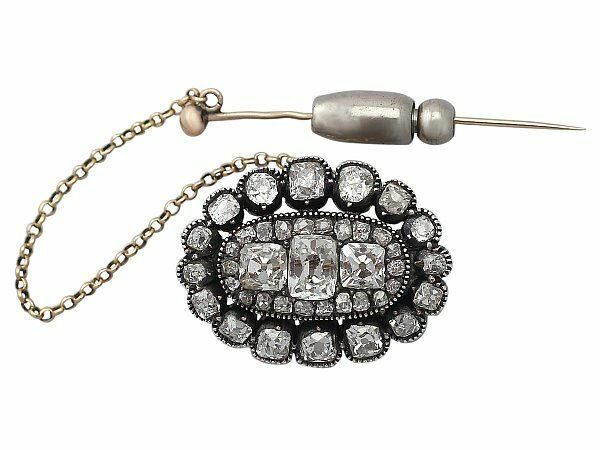 Some of the items of jewellery that we are most proud to be able to offer our customers are our antique old cut diamond pieces which are incredibly distinctive. Recently, we have seen a resurgence in the popularity of old cut diamonds. More customers have been inquiring about these rare stones and there has been an increase in new jewellery makers using new diamonds in these old cuts. There has also been a rise in the visibility and coverage of old cut diamonds on social and visual media. We have many examples of old cut diamonds for sale, but do you know which type you prefer? What makes each one special? 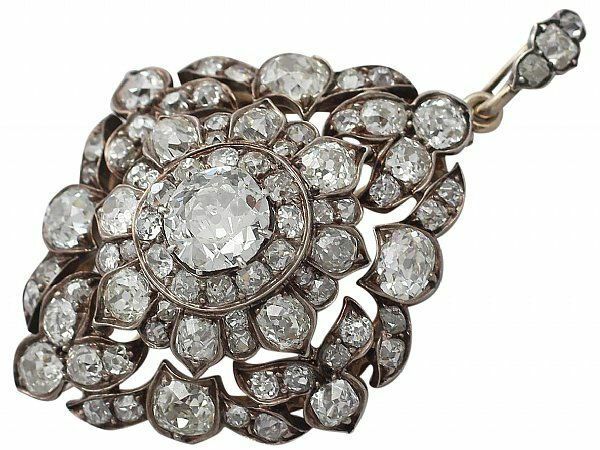 And why the sudden interest in the antique diamonds? 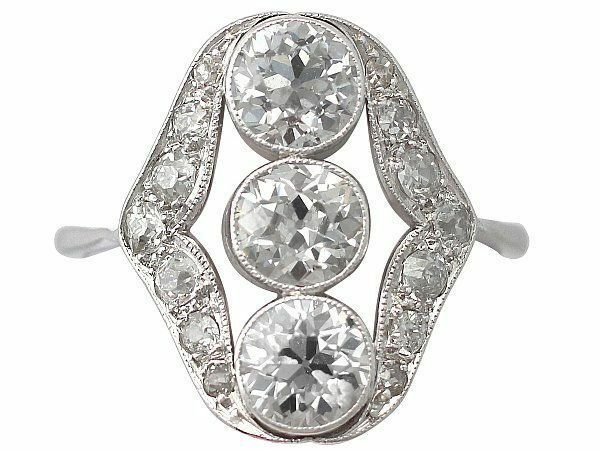 Hopefully we can shed some light on the revival of these diamonds and the benefits of choosing old cut diamonds. 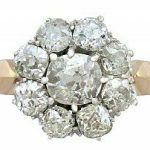 Why Choose an Antique Old Cut Diamond? The appeal of the old cut stones and diamonds is the rarity. As with all commodities, particularly luxury items such as diamonds – scarcity creates a demand! 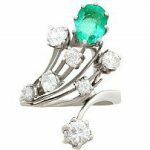 These antique diamonds and gemstones are rare and unique, which is a potent formula for any jewellery lover or just anyone in the market for buying a particularly special piece of jewellery! 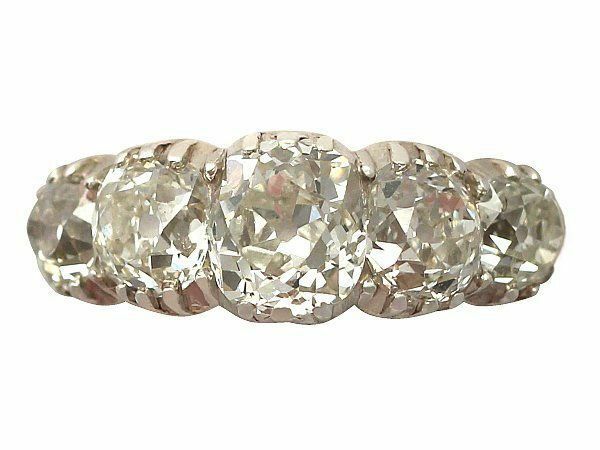 Modern diamonds are cut using lasers and with the help of software, but antique diamonds with old cuts were created by hand. The level of craftsmanship and skill required to create a beautiful diamond using only the most basic bruting techniques is astonishing. This care and attention is yet another factor towards the increased popularity of old cut diamonds. The prevalence of laser cuts has created innumerable brilliant diamonds with perfect symmetry; however the saturation of the diamond market – especially in the engagement ring business – with these near identical modern brilliant round cuts, has given rise to a demand for hand cut diamonds that are as unique as their wearer. The connection that these diamond cutters had with their creations was much more labour intensive and personal. Therefore the link between the rough, pure diamond as discovered in its natural form and the cut diamond created from it was much less academic than it has become today. Much more emphasis was put on natural beauty of the diamond. Most of these older stones would come from the mines of Brazil and Venezuela. This accounts for the difference in colour between these older antique diamonds and those found in more recently opened mines in Africa. Furthermore, the settings which were frequently used in jewellery containing these old cut diamonds were often darker, with less focus on allowing light to enter from beneath the diamond. This means that sometimes they appear darker than modern diamonds. The contemporary settings which are incredibly fine and delicate were not available 100 years ago! This style is incredibly ancient and rare, originating from 1300. This was the first known diamond cut because it was the closest shape to the natural octahedral form which the diamond would’ve been discovered in. Most antique Table cuts are so precious that they are housed in museums or private collections, rather than being available to the public. These diamond cuts are unlike any others. They are the only diamond cut in which there is not one primary flat face facet. Instead there are multiple cuts, all of which form a dome shape above the jewellery setting, rather than having a flat peak. This cut is known as both a rose cut and a Dutch cut. Its ‘rose’ comparison arose due to the fact that the diamond cut resembles the shape of a rose bud. This unique cut dates back to the 1500s and was common during the Victorian, Edwardian and Georgian eras. 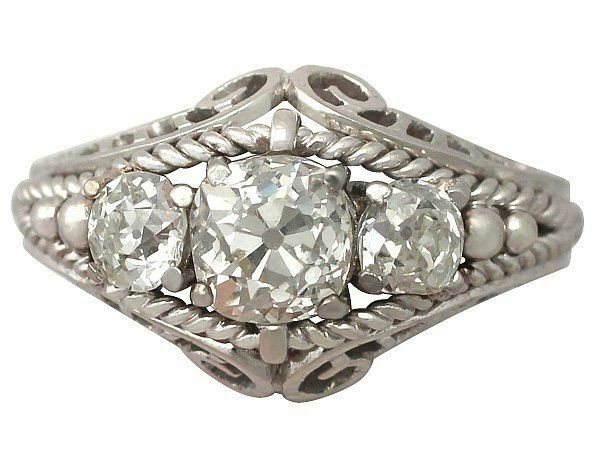 We are fortunate enough to have many examples of Dutch cut diamonds at AC Silver, with some of our more precious antique jewellery dating back a late as the 1820s. 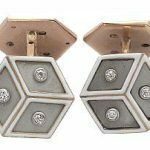 Many new jewellery designers have begun emulating these antique stones: creating rose cut or dutch cut diamonds from new stones. To read a more in depth analysis and history of Old Mine Cut Diamonds, please read our blog here Old Mine Cut Diamonds are distinctive as they have a more square shape than the Old European Cut. It is a more basic, simplistic, and less delicate style than the Old European Cut. The most distinct feature of the old mine cut diamond is the fact that they were handcrafted, meaning that the facets, sides and rounded corners are not uniform. This is unique amongst diamond cuts, as now the value of diamonds is rooted in their uniformity within their specific cut. 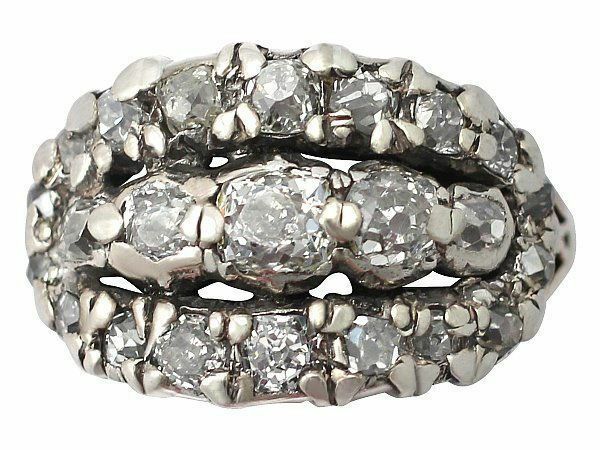 We have a wonderful selection of antique, vintage and contemporary jewellery featuring Old Mine Cut Diamonds. These pieces are rare due to their age, but also because they are often re-cut after being bought. 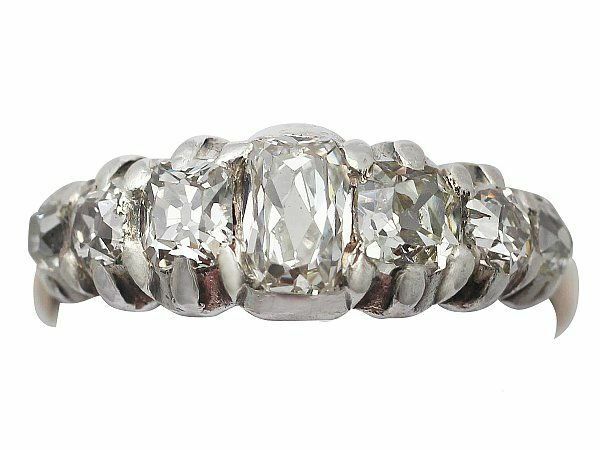 Old European cut diamonds are the earlier version of the modern round cuts that we know today. They are as close to a round shape as the diamond cutters were able to create when cutting by hand. Though not technically as perfect as the modern brilliant round cut diamonds, these diamonds are also often taller than modern cuts. Contemporary cutting techniques on the other hand, tend to focus on keeping the bulk of the carat weight- and therefore the value – in the face of the diamond. This cut often features a large, flat culet which is clearly visible through the face of the diamond. 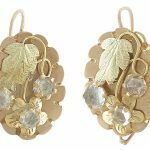 The old European cut dates back to the 1800s, and was most prominent during the Victorian, Edwardian and Art Nouveau eras. It became gradually less common after diamond cutting by hand was usurped by modern techniques. 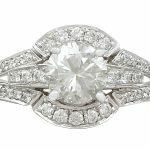 Why Choose Old Cut Diamonds? Previously, these stones would’ve been purchased as rough material to be re-cut into a more fashionable shape. Now however, because they are rarer, people are appreciating the stones for the historical significance that they hold. Often, old cuts are used in contemporary or vintage settings. This is due to their popularity, paired with the fact that they were originally created in less secure settings, which are more likely to show signs of wear. If you’re weighing up the pros and cons of old cut diamonds vs new diamonds, consider the unique nature and rarity of the older cuts. As well as this, factor in the enjoyment that can be garnered from owning something original, which is cut differently to everyone else’s diamond jewellery. Recently, we have seen a large increase in the amount of new jewellery designers and creators using old cut diamonds. This is a sign that these cuts are in higher demand and more fashionable than ever. This increase in both availability and desirability means that old diamond cuts are having a moment in the spotlight. It seems to finally be their time, after being a hidden treasure for so long. Jodie joined AC Silver in 2016 as a copywriter after completing a degree in English Literature, possessing a passion for jewellery and unusual antiquities combined with an interest in blogging. A wonderful bit of info and I loved it. Next Entry: What are Mabé Pearls?